This document was downloaded from the internet in January, 2005. The URL where I found it on the internet is no longer working. End-of-Tour Interview with Capt. Daniel Waldo Jr., et al. Q: I'd like to begin by first asking you to provide me with some biographical data on yourself just for the record, if you can just generally give me some background information. Waldo: My name is Daniel Waldo, Jr., Captain, serial number OF XXXXXX. I graduated from Huntington High School in 1960 and attended Villa Nova University from '60 to 62 and graduated from the United States Military Academy in '66. I arrived in Vietnam on 1 August 1967. I took over the company around 11 March '68. Come from Huntington, New York, and I'm single. there. You might begin by first telling me how you first received the mission and generally what went on when you were told you were going to have to move out with your company. and then another platoon, and then another day or two of equipment, and then another platoon, and we had planned on taking seven days to get the whole company and everything up there. We would have made it in six, except one day the weather was so bad they didn't even leave Pleiku Air Base. They told us in advance that they wouldn't be able to get up there. Q: When you got to the construction material, did you have to haul that up there from here, or how did it get there? Waldo: Yes, sir. Now, that was due to follow. The first seven days was to move the company and equipment up, and then there was to be about four or five days of hauling up material, and then there was a set schedule within the next week; so many beds, cement, M-881 matting, and RC-3--were supposed to come up in another week, so that you would pretty well space out the materials, much that were needed. The only materials that had to be shipped up were the RC-3, the M-881 matting, and cement. Q: Do you have any idea about how many sorties this took to move you up? Waldo: There were between three and four sorties a day for seven days to get the equipment up, and we had... Up to the last count that we had, there was somewhere around 50 or 60 sorties that had come in, all totaled, to move the equipment. Q: To keep you re-supplied after you were up there, too. All right, what was your initial efforts after you arrived up there, say, when you had your company close in after the first week? Waldo: Well, as soon as the first platoon got in there, they started working around the perimeter, getting it squared away, getting the hooches that we were going to live in squared away. The second platoon, when they arrived, they joined the effort. The third platoon, when they arrived, they did too. The third platoon closed in on a Saturday morning, and the rest of Saturday and all of Sunday was nothing but everybody working to get the perimeter squared away and the hooches squared away; and then that Monday morning is when we began going out on the different projects and actually starting work. Q: Did you have all the material you needed to start your work that day? earth slides, though there was no problem there. Another platoon had started patching the runway. They had everything they needed--the air compressors up there to start chipping out the failures, digging it out so that we could put the patches in. And the other platoon was working on putting in the M-881 matting for the TACAN and GCA pads, and they had... We would like to have had our dozers there, which was another problem that came up, but we got a grader on it and the grader was able to handle it. What happened on the dozers was, they were supposed to get two C-124 sorties to get the dozers up there, and they kept hemming and hawing about it and they said, "No, you can't have it, they can't do it, they can't land there, they can't do this, they can't do that," and it looked like we were not going to get the dozers up there at all, which would have been impossible to complete the mission. Then they were thinking of bringing up 6s, but one day some major flew in, Air Force major, to look the runway, and he said he came up to see what the winds were like, the runway was like, the conditions were like, and all this sort of stuff, and he went back and figured it out on paper and figured he could land an EPF the next morning for the C-124, but he said it didn't look good at all; he didn't like it, because both ends of the runway have big hills and it was a matter of you have to drop in and get up. Q: How about describing that just a bit. I've had somebody else say something to that effect. What is that strip like in relation to the terrain around it? Waldo: The strip was built by the French in the early '60s. It was a real good strip. north end, but you have to come over the hill and then drop real quickly onto the runway On the southern end, instead of making a direct approach, it was too hard to make a direct approach, you had to make sort of a curved-in pass to come in. Q: Come in front of the hill. Waldo: Right, just to get by it, and it was real thick foliage all around the runway. In fact, when you fly into the place, fly into Kham Duc, it's just nothing but real thick jungle and then all of a sudden there is it, the Special Forces camp and the strip. The only thing that's up there are the Special Forces camp and there was a village there, the village of Kham Duc, and all it had in it was about six or seven non-dependents and the rest were dependents of the CIDG people there. Q: That's what the village consisted of? Waldo: That's all it consisted of, maybe 100, 200 people. varied between eight and 15 or 16 Americans that were there, so they were very happy to see us and happy to see what we were going to be doing on the runway, plus having the equipment and people there to help them with little things they needed. certain area in the town that had a lot woods and undergrowth cleared away for them. Their parking lot/basketball court needed to be graded off, so we went and did that. There were a lot of little things that we could do for them. Q: Did you have any DEFCON between you and the Special Force people in the event you got an attack, say, a night ambush or something like that? communication, special radios just to communicate between their camp and our camp. We would fire some H&I fire; they would fire some on other nights. They'd let us know. We did some night work and we informed them that we'd be out on the runway out in the area, and they informed the Vietnamese on their gates and around the area that we'd be out there, don't worry about it. Then when we came in at night, we'd tell them we were all closed in. It was all squared away in case anything happened. The basic plan there was they would stay at their camp and defend it, we would stay at ours. If either one of them got overrun, they'd try and make it to build up the other one. But if they were close enough that if they tried to overrun one, they'd go after both of us. Q: How far apart were your camps? only my people and the Americans and the Special Forces team knew about. Q: What would you be trying to do? Escape to where? Waldo: E&E away from the camp to a pre-located pick-up point where we would go and make radio contact and let them know that we had to get out. Q: The dozers you need basically to clear the area for your new apron? Was that it? Waldo: Yes, sir, that's it. Had to get the rough earthwork done down there. And, as I was saying, this major came up and he said he didn't think he'd make it in, and the next morning, all of a sudden he had one of the nicest days we had up there. The sky was just beautiful, and the C-124 came in He landed and he brought our one dozer in and took off and was supposed to come back and pick up our other one here at Pleiku and fly it up. He picked it up, flew up, and he flew around the area, and all of a sudden he disappeared, and we found out later he radioed in and said that he was being shot at, which nobody believes because he was saying he was being shot at from two locations where there had been no activity at all He did not like the idea of having to fly in there at all and could hardly wait to get the plane unloaded and get out. Later on, we think we know what happened. He said he saw a flak, and they didn't have anything up there at the time shooting at planes. We had C-130s all the time and none of them got shot at. Well, what happened is the group pilots, when they flew up one day in the Beaver, another plane was flying somewhere near them that was dropping propaganda leaflets, and it looks like something flashing right by; and we think that's what happened to him. He had a plane dropping propaganda leaflets near him and all he could see are these things flashing right near you. We think that's what scared him. I'm sure and the Special Forces people are sure that he didn't get shot at. But eventually, a couple of weeks or so later, he showed up again with the other dozer. He said he didn't want to come, but he had too many people telling him he had to come. So we finally got both dozers up there working. Q: Do you have any recollections of any particular headaches that you got trying to get your work done as far as the engineer project went, things that didn't go as planned, or things that you were supposed to do that you couldn't do or something like that? patches due to the difference in the flexibilities in the pavement that was already there, and we were playing around and we'd start digging out holes and were ready to start patching, and we were waiting for Group soils lab to send us the formula for the soil- cement ratio formula for what we should use up there. None of us had ever worked with it before and we got held up a couple days there because of that. We were waiting for it to show up and it didn’t come and it didn't come. Finally it did come After looking back on it, I was speaking with Mr. Forest, the civilian advisor up here at Group, who gave us all the advice and everything we needed on soil-cement, because he's an authority on it, and he convinced us on it, it's a good way to do it. However, that air strip was so well built that its base course and the cobblestone that they had set down on top of the macadam was so good that we should never have ripped it up in order to put the soil-cement patches in. Q: They had a cobblestone ??? surface? waiting to get the soil-cement formula. The rains didn't bother us too much. Occasionally, we'd get bogged down because of it, but they were basically out of their monsoon season, so we were in the dry-weather season. The dozers or lack of the dozers held us up. Q: I recall the Group actually requested that the mission be postponed because they thought the thing was going to be in the middle of the monsoon season. That's looking at air weather data. Waldo: I don't know where they got their information, because they kept saying the same thing to us. When we went up in January and February, when we first thought we were going up there, there was an American on the Special Forces team that was serving his second tour at that Special Forces camp, and he said that that's when they were going through their monsoons that they ended about the first of April. And even when we went up, planning on going up again, he told us the same thing. Q: In fact, you did not have much rain. Waldo: We didn't have that much rain at all. We had light showers every now and then, but it was just due to the fact that it's up there in the mountains and the clouds come in. It was not the monsoon season and the rains didn't bother us at all. Q: Did you get shut down at all for lack of supplies? overcast. We could hear them, they'd be flying over, but the strip is such that it's got all these ???? Around that they won't come in unless they can see the strip, so they have to have a break in order to get in. We were being re-supplied with C-130s. Some Caribous did make it in, but not as many as usually did to re-supply the Special Forces. We went about two days on using Special Forces diesel. They gave us diesel in order to run the equipment. We had about two days that we ran on their diesel and about a day and a half that we were down due to lack of fuel. That was the only thing; just the fuel is what held us up. So actually, if it wasn't for the Special Forces, we would have had about three and a half or four days of no equipment running. Q: What about a chopper lifting up a bladder and something like that. Waldo: The only thing is, it's too ???? for them. The only thing they could have done was possibly go on into Dak To and then they would have had to drop the bladder, sit down, fuel up, pick up the bladder, and come on up, and choppers just weren't that accessible to fly that distance. But that was probably the biggest problem we had there. If you didn't have the fuel, you couldn't work. Chow was getting low. We lived on C's the whole time we were up there. Q: C-rations the whole time? Waldo: The whole time we were up there we were eating C- rations, just because we didn't have the facilities and couldn't count on the re-supply of any fresh food. Q: How did you like that? Waldo: We did have some soups. Occasionally the mess sergeant would make ?????? meal out of something that one of the re-supply planes did bring up, but still like something along those lines. Q: But you had no refrigerator. period when we didn't have any supplies, one of the things that I came back to do was to try and get us switched to B's or something else just as a variety. And, in fact, just before we had... The last plane that came in to re-supply us before we had to evacuate did bring in B's, and we never used them. Q: I guess that pretty well covers... I know your task assignments and basically what you had to accomplish up there, so I don't think we need to go into that. Did you have any problems with visitors up there trying to tell you what to do or bypassing the chain of command or anything like that? Q: Anyone from III MAF? Waldo: The only people... Special Forces came up, but the only thing they were interested in was our connection with Special Forces. In other words, they'd come over, look at our perimeter, look at our defensive ???? We had a couple of Special Forces light colonels from Da Nang came in, and that's the only thing. They'd ask us what we were doing engineering-wise and we'd tell them, but they didn't say anything. Q: What is this GCA and this TACAN? Waldo: The GCA pad, I can't explain both of them myself. The GCA pad is a Ground Control Air, and a TACAN is another sophisticated pad. Waldo: For being able to instrument land and being able to guide the planes in. Q: I assumed as much; I just wanted to be sure. Q: They were building up for something special. Waldo: something was going to be up, although they never told us what it was either. Q: Describe how things started to get a little warm up there as a result of ???? Now during this time, prior to the NVA push on the camp, contact was very light. Waldo: Contact at Kham Duc had been light all the time, and we had made several joking comments to the Special Forces there that now that we were there with all our equipment, whatever VC or NVA were around the area would see all the equipment and they'd start figuring something was coming too, and we told them that we were going to bring increased activity for them, and it was a big joke between them and us. About two or three weeks after we were there, they made some contact around the area, and it got so they were making more and more contact in and around the area. Then one day they had a patrol going out that made contact and got rather involved just two to three miles east of the camp and right on a mountain that overlooks the camp, and they ran and overtook, after a couple-hour firefight, they took the top of the hill, and when they got there the NVA had been well dug-in and they had a sand table of the whole camp laid out. Q: Is there a road between the two that you go over? Waldo: There is a road, but you can't drive it. In fact, they were putting in a request through channels at the time for us to go from, after we finished that mission to build the road, from Kham Duc to Ngok Tavak because they had, I forget how many rounds a day had to be gotten in to Ngok Tavak ???? and they didn't have the air availability to do it. So, they moved in down to Ngok Tavak. And everything, the activity increased and then about the 5th, 4th or 5th of May, they said they thought that the NVA Division had passed Kham Duc. All along, we figured that they would not touch Kham Duc because if you are engaged in any large scale because it would pinpoint them and they'd have a source of getting after them. We thought there'd be a possibility that we'd be harassed and mortars and that, just to pin the Special Forces down at Kham Duc while the Division passed by. So about five days prior to when everything exploded, we figured that they had long been gone. Everything started on about 0200 hours on 10, and at that time we came under mortar attack at Kham Duc. Now, when I say we, Kham Duc came under mortar attack. The Special Forces camp took all the rounds. On our side of the runway, we didn't take any rounds at all. And at the same time, we got word that Ngok Tavak was under heavy attack This went on... The mortar attack itself lasted, I guess, about an hour at Kham Duc. We all went on alert and everybody stayed in the bunkers till daylight, and at daylight we got word that they were going to reinforce Ngok Tavak because they were still engaged down there. Q: Was this the first mortar attack? Waldo: This was the very first one. There was no activity against the camp itself the whole time. Then they were moving a might force that was at Kham Duc. They brought Chinooks in to move them to reinforce Kham Duc. Q: From where? Do you have any idea? Waldo: From Kham Duc. Kham Duc to Ngok Tavak, rather. Q: Oh, to Ngok Tavak. Okay. Waldo: They were taking the might-force people out of Kham Duc and flying them down to Ngok Tavak. Waldo: Yes, sir. They started walking back, and somewhere between Ngok Tavak and Kham Duc they were spotted by choppers and choppers picked them up and brought them in. Waldo: But the Marines at Ngok Tavak got torn up real badly. They had something like 13 KIAS and 20-plus WIAs. They had gotten in the perimeter right where the Marines were and they were just flying all the medevac choppers right into Kham Duc and they were just piling them up right there. The doctors, the Special Forces doctor and two medics I had with me were over there just patching everybody up, and then they brought in a whole bunch of medevac choppers and then a Chinook or a C7A Caribou flew a whole bunch out. Q: You were right there watching all this. Waldo: Right. And then, this was all during the morning. Q: of the 10th or the 11th? Waldo: The morning of the 10th. It happened at 0200 on the 10th, that night. And then about 10:00 in the morning, mortars started coming in again. We went back to work the morning of the 10th, went back to the projects we were working on our different. parts of the project because we figured, well, okay, it was just a night attack, nothing to worry about, and we went back to work. And I had people at the northern end of the runway working on the new parking apron, at the southern end working on the patching, and on the southern end on the western side working on our sand screen, and mortars kept coming in. Q: Had you been in contact with, personal verbal contact with the flexible forces team chief at any time that morning? Q: He still thought it was just a case of a mortar attack? lasted for about an hour and a half, maybe two hours. Q: What were they doing down on that end? that that's what they were trying to do, get up into that camp. them, so they got in a relatively goad size firefight. We sent a couple of 5-tons down to resupply them with ammo. Q: You had radio communications with them? Waldo: Right. We had radio communications with them. Q: Who was the OIC of that ammo? mortars had lightened up. So rather than keep them down there in that exposed position, then I told them to pull back out. Q: Was that platoon working on the strip down there? Q: Oh I see, yeah. flew in a battalion from the 196th. Actually, a company from the 198th came in first and then the battalion from the 196th came in. Q: During this time, did you have any communications with the battalion back here? damage, and we were going back on the project. And then we kept calling them continually then once the activity started. Q: Well, had your mission changed? Waldo: No, our mission was still the same. Q: When ??? started coming in? Waldo: Our mission was still the same. Here's where our mission changed. I was in the TOC and Gen. Stillwell, Maj. Gen. Stillwell, came into my TOC. strictly OPCON to this battalion. Q: Did you contact Col. Nelson then? Waldo: He hadn't, he wasn't there at the time. Q: Did he mention anything there about the possibility of an evacuation? Waldo: No, none whatsoever. No. Waldo: Then, later that afternoon, well, all during that day, then, at different intervals, mortars would come in. apron as the planes came in. Q: They must have observed fire, then, from some high spots around there. Waldo: Right. I don't know where the NVA had them, but they had a good FO, because he was definitely putting them where he should put them. This went on all through the day as the Americal arrived. When Col. Nelson arrived, I went over and reported to him and told him what my orders were. Of course, he already knew that we would be, and he was rather elated over the fact that he had a whole Engineer Company under him now. He took both our dozers and our bucket loaders and they went right to work digging in a battalion headquarters for him. An officer that was going to be bringing in the artillery came and saw me, and we squared out an area that he wanted cleared so that he could clear out the area to bring the tubes in on Saturday. Q: What day was this now? Friday? into the Special Forces camp. Q: From the east? North to west, or east south to west? digging them in, clearing areas away. Q: Was most of their perimeter in the cleared area or was it in the jungle area? and that whole Friday night, early Saturday morning, there wasn't a thing. It was just peaceful and quiet the whole night; nothing happened. And bright and early, 6:00, 0600 on the 11th of May, they came in again. Q: What about the other posts? Do you know if they had any probes? people, along with the Americal, secured the chopper and the area around the chopper and also went out and tried to find his rocket pellets which he dropped. He ought to rotate it in, so he landed without ruining the plane, but he was out there in the boonies. pulling us out of the area. So I told him what we needed and then informed him that before I could leave the area, it would have to be cleared by Col. Nelson, that I was completely under him now. couldn't leave unless the Americal told us or if I got word from here, yes or no. It was at that stage of the game. C-124 was coming to get them, and to bring out what I could on the C-130s. Q: ??? and bring it up ???. flights in the morning and five flights in the afternoon. ??? that night was five planes, a total of 25 sorties, five planes in the morning and the afternoon for two and a half days till we got everything out. through him to stay or go or from my Battalion to stay or go. Q: Was the dozer disassembled? Q: You assumed it was going to take two and a half days. plane we would either be able to drive on or walk on. So that's the way it sat Saturday night, and everybody went to sleep. "Okay. The planes will be out; no sweat." By daybreak, 6:00 in the morning, high ground was all the NVAs they had taken. Q: How did you find this out? Waldo: Right, that's how we found out. Q: A real ground attack. what they thought was one of the prime positions that one of their FOs were in, and they had a B-52 raid on that that morning. Q: Excuse me. Were you having tac aircraft support in the area during that attack? jumped, parachuted out, and he made it in. that the word came down that we would go out with just people. Q: Okay. How did you get this? said, "No." He said, "Right now, take your people." So I called back to Battalion and told them that it looked like we were going to get out, but it was just going to be people and what we could carry, and they said to me, "Okay, disable the equipment so it can be recovered at a later date." Q: What time was this about? meantime, we were frantically trying to get one of our dozers back together again, because it was disassembled, so that it could go down there. Q: Did you have the blade off it? try and get the dozer back together again. Q: Were you still getting mortar around? second, third, and Headquarters, so in order to get these people out, I had my 1st and Headquarters people prepare to get on this C-130. So the dozer operator went down and cleaned it all off. enough. He came in, he landed, and he went right up into the area where the Chinook was, turned around. Q: The Chinook was not cleared off the runway at that time? Q: Well, then, he was able to taxi right by it, past it. turned around. He had enough landing room without going deep into all the mess. C-130 came in and landed, a whole bunch of the Infantry people on this side started running down the airstrip after them. As soon as he stopped, they were loaded up. plane as it was coming in, and that's just what they did. Q: At that time, did you know that there was any plans to evacuate the Infantry as well? Force Major, in conjunction with the S-3 of this Battalion, we'd coordinate what people would go on what planes. Q: You learned that at the time the C-130 came in. Okay. Then who had the authority to evacuate the area? then we were going out second. Q: On the second plane, the second element. first, so that's why we were supposed to get on this first C-130. Q: Well, then, what changed the plans? Q: Yeah, but obviously they were told to go. Waldo: We don't know, because... This is the way it went. supposed to get on that plane. started sending in... Well, from here on it was a real confusing deal. They had Chinooks come in and take some people out. Q: Oh, some other people. what do they mean, it's got to be fixed?" I said "They've got a spare tire? Is that what has to be done?" Well, it ended up all they had to do was get rid of the tire, pull the tire off. Waldo: And then we could do it. Q: The second wheel could take care of it, yeah. Waldo: Right. So, we got some people out in a C-123 before that. Waldo: The C-123 came in while the C-130 was in the parking apron. The C-123 came down and they told me to put 36, I think, people on the C-123 when it landed. Q: I see. That was the second plane that came in. people ran down and, as it was, he came in the same way and turned around right by where the Chinook was, and they ran on out and got in. So I got somewhere around 30 or 40 people out on that one, and that's the one that went to Da Nang. told us that the pilot wouldn't take any troops. He didn't want to risk taking any troops with him. Q: With that one tire bad. didn't get any of our people out. around our ???? move out and dropped them right in down there. down along these trenches and we got all our wounded people out. Q: Were they actually trenches or just ditches dug for drainage? Waldo: Well, down here they were just drainage ditches. Q: This is where you said you had your men wait. Waldo: A plane would come in, they'd get a radio message, "A Chinook is coming in; have 18 people ready to get on it." Q: So this was mostly Chinooks coming in at this point. wasn't a very good idea that they come in. And it was just ?? fact, it's amazing that some of the Chinooks got off, they were so overloaded. right. And one had taken off and he started circling, and he was so overloaded he couldn't get up fast enough, and he got hit. He came back down and he landed, he landed real hard, but nobody got hurt and they all got out. we'll run and get on. So the thing landed and we all ran to get on, take off, and when we got up in the air we counted noses, and myself and two of the EN had made it on. Lt. Morris, Lt. Lainer, and the other one didn't make it on. And ?? say you went on, the damn thing looked so crowded, you decided not to get on. just let loose. I don't know whether we were taking any fire, but I know they let out a lot as we got out this way. Q: Let loose? What do you mean? that had any type of wounds out as soon as they could. had everybody accounted for one way or the other. We knew who had been medevac'd from Kham Duc, who had been medevac'd from LZ Ross, who we had at LZ Ross, and the number of people that he had at Da Nang, so we were all accounted for. We spent the night on LZ Ross. The next morning they flew us from there to Baldy and then the plane came in from Baldy and flew us back here to Pleiku. We got back here on Monday; the people from Da Nang got back Tuesday morning. That's about it. Q: How about, how did you go about carrying out your instructions to disable the equipment--your trucks, your dozers, your grader? Q: I recall in the report that you left a lot of weapons there too, didn't you? Q: I think some of them were individual weapons. I'm wondering how did this happen? aren't TO&E in it that we scrounged up before we went up there. it, but not the way it was planned, because everybody was getting out so fast. Q: Were your men firing at targets or individuals? Did they see who they were firing at? during the firefight on Friday, they could see them, and they did have some hits, they made hits. wasn't that many, there was no visible enemy. that, or did you have any contact with Col. Nelson? Waldo: No. Once the evacuation started, it was all radio contact from about 10:00 or so in the inorning through the rest of the afternoon when we all got out. It was all radio contact with either the Air Force Major or from the S-3 of that Battalion that he'd call. would have been a real mess. Q: What did you end up with for casualties? Waldo: We had 31 people that had received wounds, 15 of which had been evac'd sometiine or other. Q: The others were minor wounds, treated and released? Waldo: Either treated at LZ Ross and released or taken care of when we got back here and released. Q: Have you submitted anybody for any valorous award? Waldo: Well, shortly, a couple days after we came back, we had quite a list of Bronze Stars with V's and ACMs with V's, and we started on the paperwork with them. A couple days after we got back, Gen. Roper came down and presented three of them, three Bronze Stars with V's, three ACMs with V's, and about 10 of the Purple Hearts. We got the rest of the paperwork in for them. 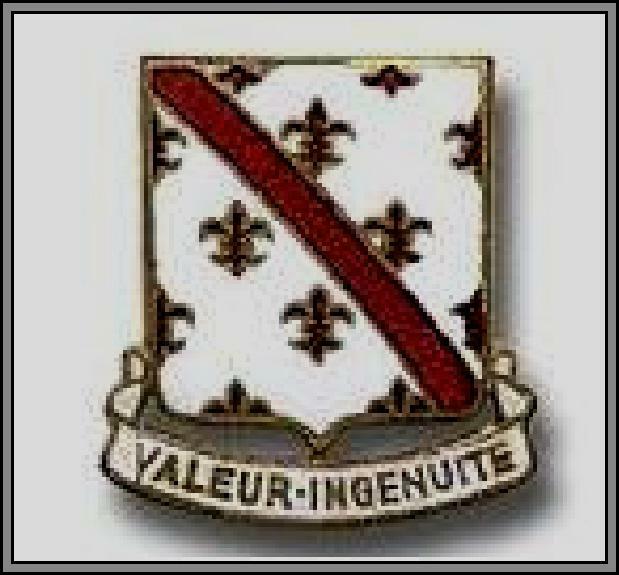 Since that time, one of my platoon leaders has received his Bronze Star with V, and one of my squad leaders got his ACM with V, so so far there have been four ACMs with V's and a lot of Bronze Stars with V's that have already been awarded, and then there's still I forget how many outstanding. things really went lucky for you and really have been no changes. Waldo: Right. Looking back, there were things we could have done and probably things that we should have done, but under the circumstances at hand, our main concern was just getting everybody out. And things were happening so fast, the planes were coming in ???? and then all of a sudden coming in real fast, that's our only concern for getting people out. A lot of people have questioned since we've been back why we didn't destroy the equipment, why we didn't do this, and why we didn't do that as far as the equipment is concerned. As I had told them, we got everybody out alive and I didn't give a damn about the equipment. As we look back at it now, it probably would have been a good idea to throw a grenade here and a grenade there, this and that, but the thing is, everything happened so fast and they had, at this time, when we could have done it or should have done it they had zeroed in on camp Conroy and we just kept everybody in the trenches. Q: Did the trenches have overhead cover? next to it, near it, or in it, and it would get a whole bunch of people as opposed to, if we had put it in ourselves or if we have to do it again, put a zigzag trench. This was one of the things we did learn, but it was something that we didn't foresee and the trenches were already there, so we just left them as they were. Q: Okay. I think that's about it as far as I have, unless there's something else that you want to add to it, feel you might have missed. Waldo: I can't think of anything offhand. Everybody, during the whole thing, was fantastic about it. There wasn't anybody that panicked, everybody helped everybody. In fact, the only reason why we got everybody out was because everybody would help everybody. Everybody just worked together. Q: Okay. Thank you very much. Lt. Schrope, I'd like to have you relate for me the incident in which members of your platoon got engaged in a firefight while they were at the Kham Duc airfield. But before you do, would you please relate for me some information ???? for the record, please. bit of small-arms fire from the jungle, the treeline. They called for help, as they didn't have too much ammunition down there. Q: How did you get there? probably by that time we had one wounded right after we got there, and it was probably by a rifle grenade or M-79. At that time, we hadn't received any others that we know of, still just small-arms fire. We took them under fire and the firefight lasted an hour, an hour and a half, something like that. and into the company area. Q: About how far away was the fire coming from that you received? Schrope: A hundred to 150 meters. Q: Could you see anything down there? Q: How many men did you have down there? Q: They all got on those two 5-tons. Schrope: No, sir. There was three 5-tons. We had one 5-ton down there. Q: One 5-ton at the site. Q: Did they all get on that one truck? Schrope: No, sir. We had three trucks loaded. Schrope: Yes, sir, on the work site. This all happened at the work site. Paranoski: My name is PFC Thomas Paranoski and my serial number is US52812430, and I arrived in Vietnam on January 12. Q: Were you assigned to A Company? Paranoski: I was assigned to A Company, 70th Engineer Battalion. Q: What's your job in the company? Q: And your home town? Paranoski: My home town is Kunchihawken, Pennsylvania. happened as a result of spotting these NVAs? Forces camp right across from our camp getting hit with mortars. So Sgt. Hewlett was in charge and he told us to hit the ditches, so we all started running and we grabbed our weapons and hit the side of the ditch. Q: Were these pretty deep ditches or shallow? Paranoski: Well, we went over a berm and then into a ditch, like a deep gully there. Q: On the helmet and over their clothes? Paranoski: About 25, 30 meters. Q: Two. And that close, 25 or 30 meters? there was nothing but woods. Q: I see. They were coming out of the woods. Paranoski: No. They were coming right through a clearing. There was like a clearing between the woods and that big bank, and at first I shot 10 rounds at them and then I shot another 10 almost right after that. Paranoski: As far as I know, they went down. They weren't moving no more. And then a guy with 79 came down to my position and shot a couple of 79s right in there too. Q: Did anybody else see them and fire at them at about the same time? Paranoski: There was a guy next to me named Singlebach who said he seen them. Q: Did he fire at them? Paranoski: I was pretty excited. Q: In other words, as soon as you saw them, you opened fire. Q: They ought to be shot at. Q: What happened after you emptied your clip and they sort of hit the ground? I understand that you got some return fire. shots going into a... There was a tanker right there as we were running up past there and it was hitting the tanker. Q: Water tank, yeah. You could see the shots hitting it or hear it? Q: How about around the area you were in? Did you see any rounds impact around there? Paranoski: Well, when we were on the berm, there was all kinds of rounds hitting on top of us. Paranoski: I was talking to another guy from the company who was across the other side of the strip where he shot two NVA; his name is Doss, Specialist ?? Doss, and he said that they were right out in the open by a big pond down there, and he said he seen two of them coming across and he tried to look for someplace to hide, but he didn't find a good place to hide, so they just let loose on them. He said he dropped ??? too. Q: This was not in the same area. Paranoski: No, this was right across the strip. Q: Right across the strip. Was he from your platoon? Q; In other words, he was down there working in the same work party. Paranoski: Yeah. He was on security, actually. Q: Oh, I see. So then there were several groups of these NVAs or they were scattered throughout the area. Paranoski: I think they were trying to come in behind us. Q: I see. They knew you were there probably, and they were just trying to sneak around you. Paranoski: Well, yeah, after we opened up, but I don't think they knew we were there when we first got in that ditch. Paranoski: I didn't hear no explosions. Q: Where were you hit? Paranoski: of course, there was a lot of noise, everybody was firing. I got hit in a couple little spots in the arm, the side. Q: What did you do after you got hit? Paranoski: Well, at first I seen blood running down my arm, so the first thing I did was crawl under the 5-ton and there was a guy under there, and I started to take off my shirt, but just then the medic came and he patched me up. Q: Was it just a flesh wound? Paranoski: Well, I got wounds in my side here; it went in about a half-inch; the same thing in my thigh and ???. Paranoski: Well, in the hospital they said they dug rock out of me. Paranoski: I was under the truck. Two of the guys from squads put me on the truck ??? Paranoski: Well, yeah, I could walk, but I was limping. Paranoski: I was too scared to feel any pain, actually. Q: Okay. Were you right on that berm all during the fight, or right after you got hit, did you crawl over to the truck? started firing some more over the berm. That's when I got hit. Q: I see. What did you all do when you got back to the camp? Paranoski: Well, the first thing they did with me is take me to the medics. He took me and patched me up. The rest of them I guess went to the bunkers. Q: What did you do after you got patched up? Paranoski: They took me down to this little room and they were treating me for shock. They told me to stay there a while, so I stayed in there. Eventually I was okay and they let me out. I was in the medics for a while, laying down, and then a little while later, the next day I guess, I went back to the bunker, my bunker, stayed there, and every now and then a medic would look in on me. I was taking pills and he gave me a shot of penicillin. Q: Okay. I want to thank you very much and I'm glad you got out no worse than you did. Thank you. into what you were doing with the dozers when you were moving the crashed aircraft off the strip. Hostler: My name is Donald J. Hostler. I'm a Specialist 5th Class. My service number is RA11986539 and my MIS is 62E20, which is heavy equipment operator. I lived in Burwick, Pennsylvania, and I'm not married. Special Forces camp across the runway began to take mortar fire, so we all got up and got into our bunkers and stayed there until daylight, when the mortaring stopped. Q: How far away was the Special Forces camp from your base camp or where you were? Hostler: I'd say about 300 meters. Q: After you got out of the bunkers at daylight, what ???? Q: How many dozers did you have? Q: Both of them were D-7s. noon and they got the rest of the people in from the end of the runway, and they had to leave all their trucks down there and we had C-rations down in the bunkers. We stayed in the bunkers all the time. Q: What time was this, now? About what time in the morning was this? Hostler: Late in the morning; about 9:30, 10:00 it started. I'm not sure about the time. Q: This time, how long did you stay in the bunkers? actually, we never got out of the bunkers, and after that we lived in the bunkers. Q: Was it around this time that the security forces had realized that Charlie had taken or the NVA, the enemy, had taken up the hillside positions? outside of our perimeter, and they were returning the fire. Q: I see When was it... What Chinook was it that crashed? Was this a ??? troops in or extracting? Hostler: This didn't happen until two days later. Hostler: Yes. This is when it started, on the 9th. Q: On the 9th. Let's go on then. Then what happened at the time that the Infantry set up the tubes outside the ???? returning fire? At this time you were primarily staying in the bunkers? Q: Were any mortars falling around the trucks? Hostler: No. This area was secured then by the Infantry. They went down along the runway and secured the area where we received fire, where they were working. Q: What time did you start breaking the hopes to extract various parts of it? Hostler: Two days later when we startedwe got those trucks back, we went back out to could come back in and dig in the Infantry. what all did it include? Hostler: Well, we started out by digging a TOC, I guess they call it. We dug that and started to dig holes for personnel to get into. Q: And these large holes, did they eventually put overhead cover, overhead protection? heard that they were attacking all of the hills. Q: How close were the air strikes? Well, first of all, who were the B-52s, what type of air strikes did they have? Was it Phantom jets or Sky Raiders or gunships? Hostler: At first they were Phantoms and then Sky Raiders and Phantoms later on. Q: Did they have qunships later on too? Hostler: Yes. The gunships were there. They would be there in the daytime and they wouldn't stay there at night, though. A couple of them would, but some of them would take off at night. Q: How close were they striking? Hostler: Well, most of the striking was on our side of the Special Forces camp on the hill where they suspected that they were. But the last day, they were completely all the way around us. They were striking all their napalm, strafing and everything. Q: Okay. Now, I think we're up to the 11th now. This was the day that extraction started taking place. Hostler: We were clearing till after dark. I don't know actually what time it wsa, but it was getting awful dark. We were trying to hurry up and push down the trees so they could at least have a little bit bigger field of fire, because all we did was take one swipe through the woods and it didn't give them any vision out front. It was all covered up with trees. So we hurried up and pushed down as much trees as we could. We tracked back into the compound. Q: Was there any sniper fire at this time? the compound and they told us that we might be able to take them out and that we should start to take the dozers apart. So we all got together, the rest of the guys, and started taking the blades off and whatnot. Q: What else do you do when you take a dozer apart to get ready for an air shipment or movement by air? Hostler: Well, just try to get as much weight off as possible, take the blades off and the winch and belly pans, drop cords. Q: You leave the tracks on for the ?????. Hostler: Yes. They brought them up in a C-124. They didn't have to take the tracks off, but we were ready if they did. If they was going to take them out in C-130s, we would have had to take the tracks off. It was the next morning, then, that this Huey copter was coming in and we were all in our bunkers, just woke up, and mortar fire started again at dawn. As soon as we got light, the mortar fire started. They wouldn't fire all night, but as soon as light comes in, they'd fire, I guess not to give away their position. Q: Were they pretty accurate? Hostler: Yes, they were very accurate. They put a direct hit right on the 105s right in the motor pool when I was out there working. They would fire one to get their zero, and I was on top of this hill and mortar went right over my head and landed on the other side of me. Q: Could you hear it? Hostler: Yeah. I saw it too. Q: You could see it too? Q: What size mortar was it? Could you tell? Hostler: No, I really don't know. They must have been small so they could put a lot of them in there. They weren't that effective, I don't think, but they had an awful lot of them. The first round landed and we got off and got in the hole, and that's when they really started to come in, and that's when we got direct hits on the guns. Q: What else did they zero in on beside the l05s? Hostler: Well, that was their main thing. I don't believe they could zero in on the mortar tubes. They couldn't get a fix on them because they was behind the hill. But most of the rounds landed in the Special Forces camp because they was firing a 50 out and mortar tubes was always going over there. They tried quite a few ground attacks too, but we'd beat them off every time. Q: When this chopper came in, what kind was it? Hostler: It was the Chinook, an Army Chinook. Q: Was it carrying troops or ammo or what? Hostler: I'm not sure. They said it might have had ammo on it, but I don't believe it did. It only had the crew on it. It may have just been an extraction helicopter empty, but it come down and they saw it smoking. Q: It had been hit. Hostler: Yes. And it came down. It was taxiing down the runway. And we got in front of us, I thought it was a mortar round; I don't know actually what it was. We was in our bunkers there and it went over on its side and it just... Then we thought maybe if it was ammunition, it would blow up! so we all got down, and it just burned all up there. Q: Could you see the crew in the doorway or anybody in the doorway? Q: Do you know whether anybody was hurt? Hostler: I believe they all got out. They was bruised up, but I believe they all rolled out. We don't know how many was in there, but I believe they all got out. Q: Okay. Now, it was on its side? The chopper was on its side? Hostler: Yeah. It was burning. Q: And where was it on the strip? Toward the middle or the ends or what? Hostler: Yes. It was right in the middle, and when it fell over it just fell apart all over the runway, and it was burning real furiously. Q: You knew it had to be moved. Q: The bucket loader. And what happened? Hostler: Well, they went out and tried to scoop up this engine that was burning the worst and tried to get that off before it melted the runway and really made it bad so it would wreck a plane if it come in. They tried to get that off first. And they run into it and scooped it up in the bucket and the heat from this come back, and the operator and Lt. Lainer was on the bucket loader and it was too hot. They had to stop and jump off because of the tremendous heat that was coming off of that burning stuff. And they jumped off, but they had got off the strip and they got this big burning piece off. Q: The engine was off. Hostler: Yes. It was in the bucket and still burning, but it was off the runway. Q: Okay. I heard that when they left the bucket loader, that they left the engine running. Q: It was running all this time? Hostler: Yes. It ran for quite a while after that. Q: Was the bucket loader, was it on fire or did it catch fire? Hostler: Yes. There was burning wreckage under it and it caught the rear wheel on fire and it got up into the hydraulic oil and caught that on fire too. Q: Okay Then what happened? Q: How long had it taken you to take the dozer apart? Hostler: Well, I believe we worked until 11:00 that night to take both of them apart, and we had most of them apart. Q: How many men were working on it? How many men were working on the dozers to get them apart? Hostler: About eight of us. I'm not sure. Q: How long did it take you to get them back together, get one of them back together? Hostler: Well, we didn't completely put it back together. We just sort of got the blade on and these things like that, just to get it operational. They went out with their water truck to try to extinguish the fire. This front loader was still burning and they got the fires out, but all this wreckage was still laying around there. So I got on the dozer then and went out the gate because there was a C-123 circling and wanted to land, so I went out there and just started pushing the stuff off. there any firing going on in your area or around near you? Were there mortars falling or small-arms fire or anything? Hostler: They was trying to get these 105s again. They was mortaring those and throwing in quite a few to the Special Forces camp. They didn't let up on that camp. They just kept socking them in there. On the hill behind us now, they were firing with these mortar tubes because they were crawling up the side of this mountain trying to take this listening post on top, which was ours then. And they were having air strikes and the Sky Raiders were going by and one of them got shot down, and we saw the pilot come floating down at the far end of the strip. Q: Did he make it? Hostler: I believe they picked him up. Hostler: Well, they had got it off to the side of the strip. Q: Where they left it? went back up into camp. landing much, I don't believe. Q: Okay. Then you took the dozer back up to the camp. Did you try to take it back apart to get it ready for extraction then? Hostler: No. By this time, we knew we weren't going to get them out. Going to be lucky if we can get out of there. Q: All right. The first C-123 came in. What happened? Hostler: Well, I don't know who all was trying to get on it. This was a big mix-up, trying to figure who was supposed to get on which plane. Hostler: Yes. They were trying to make radio contact then to get this straightened out, but when this plane landed, a lot of Vietnamese civilians tried to get on this plane and everybody just crowded on this plane, overloading it. And this plane got loaded and he didn't slow down. He kept his engines running and turned around, and as soon as they got on, he took off right away. Q: When the passengers were boarding, was the plane still rolling or was it stopped? Q: He had his engines revved up. Q: Did he get off, or what happened? overloaded, but he made it. Q: How many other planes? I heard that one of the C-143s had a flat. Hostler: No, that was a C-130. Hostler: That was circling around, and he came in as soon as this C-123 got out of there. He come in and he had the flat, and so he pulled over around our motor pool--there was already a landing pad there--and stopped there to see what he could do to get this tire fixed. Hostler: Well, we were going to try to cut the tire off of the rim so it wouldn't catch on fire, and then he tried to take off again. By this time, most everybody had gotten out. I think the Headquarters section went first and my platoon was after that. A lot of our Headquarters section got on this first C-123. And I don't know what time this was, but it was still in the morning, about 9:00, I believe. We got in this contact truck that had all the tools and a torch in it, the motor sergeant and I. We were the only ones left there and we went down to the C-130 to see what we could do about getting this tire off. Q: What did you end up doing to get the tire? without catching this rim on fire. Q: Was the pilot there? Hostler: Yes, the pilot was there. there pretty guick, they weren't going to have enough fuel to make it anyway. Q: Evidently, the plane had been hit there. Q: Okay. How long before you were extracted? Q: How did you leave? Did you ??? between or did you go out with the ??? Hostler: A Chinook, an Army Chinook. Q: You got out on a Chinook.